Additional Description: Left and right flank marker stones along Hancock Avenue indicate the approximate position of the battery on July 3. 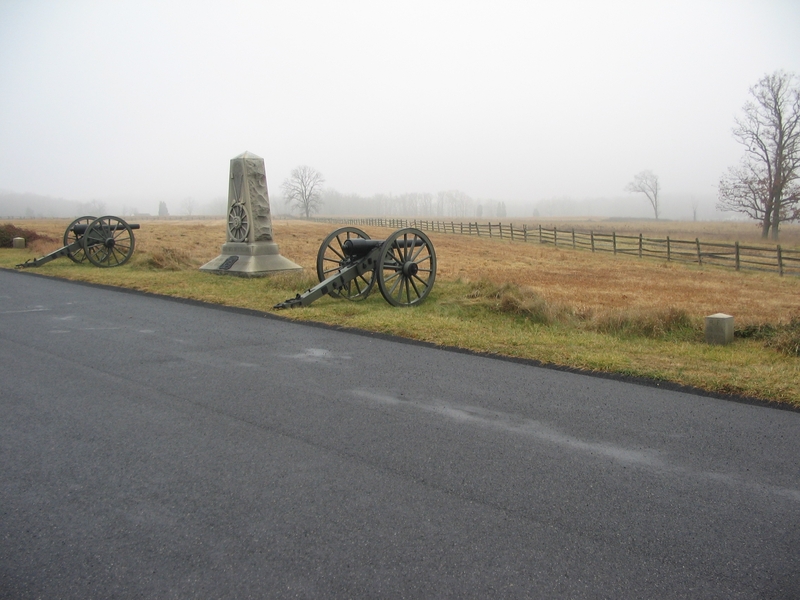 Two 10-pounder Parrott rifles represent the battery. The gun on the right is an authentic 3-inch Parrott produced in 1863 (registry number 14). On the left is a reproduction produced for the Battlefield Commission in the 1890s.